This is the first time I write a post about recipe. To be honest, I am not good at cooking or preparing food. But oh well, let’s try. Lately, through my busyness I hardly find a time to eat breakfast. Even though I know how important is it. I love breakfast though. I have some good memories about that. My grandma used to prepare good breakfast every day when I was a little girl. She always knows how to make me love my breakfast. Well, maybe from now on I have to prepare some time in the morning to get breakfast instead of rolling over my bed. Start a new day with a good thing is essential. Then start with a good simple breakfast. I love oat, I always do. Besides their good taste, of course I love their texture. I personally prefer rough oat, because the result is perfectly light crunch when you bite them slowly. 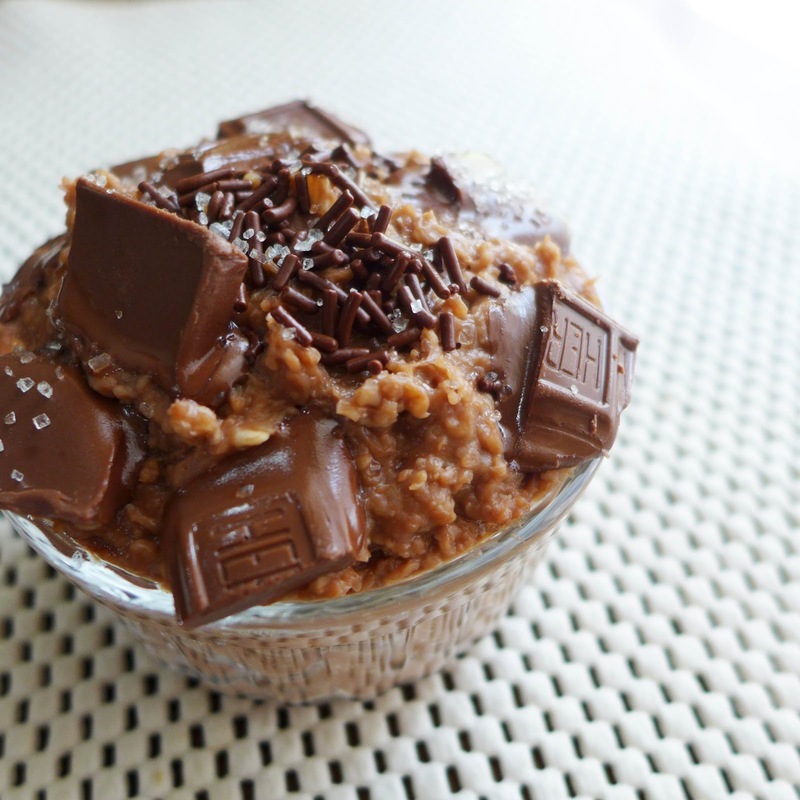 I called this recipe salted cocoa oatmeal or just call it friendly oatmeal breakfast. Some people may not like oat as much as I do so I tried to make it loveable, perhaps for everyone. The base is vanilla yogurt rippled with indulgent chocolate. When it gets into your mouth, the taste is perfectly salty and sweet. This recipe is perfect for breakfast and helps you to get full. Start your beautiful day with something delicious yet healthy. 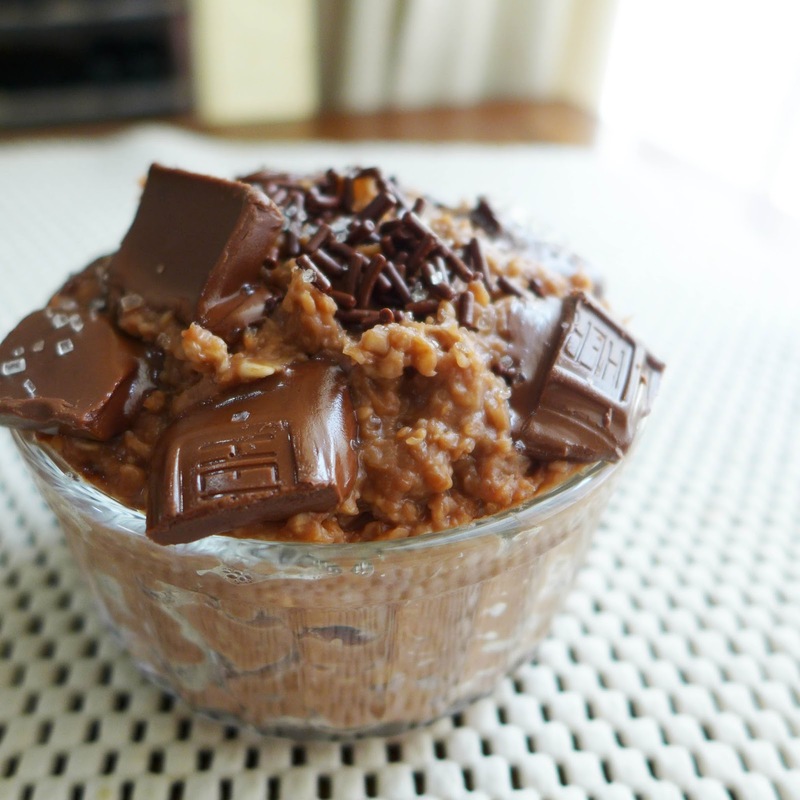 In a jar, combine oats, salt, yogurt and vanilla. Mixed them. Boil your milk and put your chocolate milk powder. Add some sugar, taste it, if you want it to be sweet you can add more sugar. Pour it into the oat mixture, and mix them well. Make sure you use safe microwave jar, then put your mixture into a microwave for 60 seconds. Stir them once again before you put it in a smaller bowl. Leave it overnight until the oats have absorbed the yogurt and the mixture is creamy & thick. 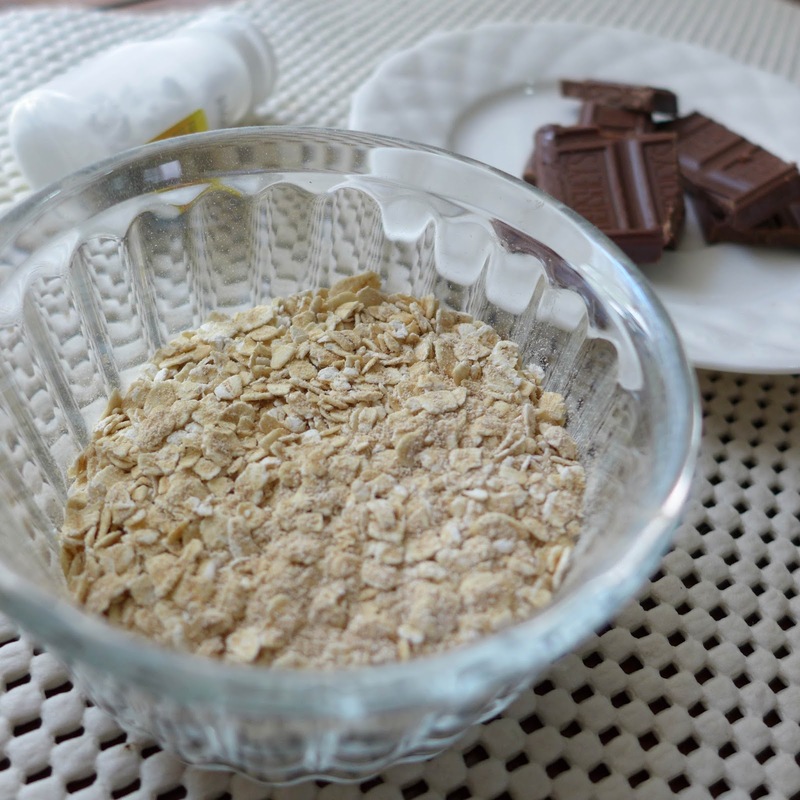 When you are ready to serve break the chocolate bar in any size you prefer, and then put it on top of your oatmeal. Add on chocolate sprinkle on top and a pinch of sugar. Enjoy cold, or warmed up in the microwave for 1 minute. I love when the chocolate bar is a little bit melted. If you want to see another healthy (and DELICIOUS) recipe, you can go to Aloha. 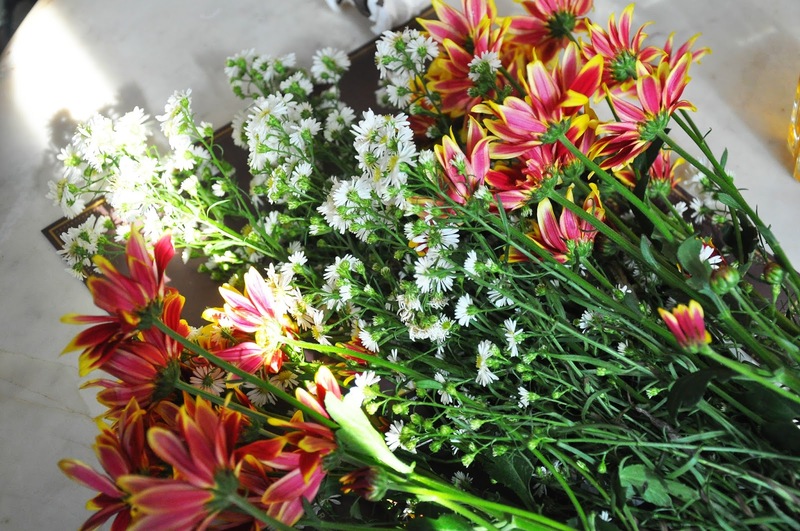 They have bunch of healthy tips and recipes to achieve an ultimate summer glow. Start a healthy lifestyle, and you will find more surprises everyday.